If a house is not covered under fire insurance, the damage can leave homeowners homeless and without any money! Something similar happened with the owner of this 3-bedroom brick colonial in Oakland County. The house caught fire from a small electrical issue in the kitchen that caused about $50,000 in damages and left the home in shambles. The insurance had lapsed and there was no financial help to cover the damage. The house was uninhabitable, and the owner had to live in a hotel for some time. 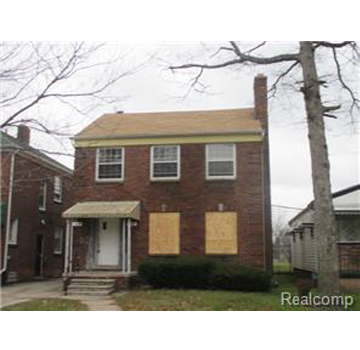 Searching for the right buyer, the owner learned about Detroit Cash For Homes and the fact that we buy houses in any condition for cash. He called us and told us the whole story. He was worried about how he would ever be able to buy a new house without financial help. He even tried to reach out to the mortgage company, but they turned the property down because of the damage caused to it. We paid a visit to the house and sealed a deal with the homeowner. We paid him in all cash and bought the house in AS-IS condition. We closed the deal within 5 days without any hassle to the seller. He was able to sell his house fast and get the financial support he needed to build a new house. If you also want to Sell Your House FastIn Oakland County in AS-IS condition, call Detroit Cash For Homes at 1-877-785-9801.